is the first compilation album from Simon & Garfunkel, released on June 14, 1972, two years after the duo had split. The album was a mix of original studio recordings and four previously unreleased live recordings. The album’s minimalist packaging does not specifically date the latter; however, the live versions of « For Emily, Whenever I May Find Her » and « Kathy’s Song » included on Greatest Hits were also included on the 2008 album Live 1969. The liner notes to Live 1969 state that these two songs were both recorded at a November 1969 concert in St. Louis, Missouri. According to the liner notes from Collected Works, however, the version of « Kathy’s Song » was taken from a 1968 concert in Vermont. In a 1975 BBC Radio 1 interview, Roy Halee identified this version of « The 59th Street Bridge Song » as being from Simon & Garfunkel’s 1970 performance at Carnegie Hall, « the last concert they did together » (prior to their disbanding later in 1970). A live version of « Homeward Bound » was also included on the album. The remaining ten studio songs comprise nine singles released between 1965 and 1972, « America » being issued as a single several years after its appearance as a track on the Bookends album, and one album track, « Bookends » (without its parent song « Old Friends »). All the singles included, except « America, » « El Condor Pasa (If I Could), » and « Scarborough Fair/Canticle » made the Top Ten, with the last peaking at #11, and « Mrs. Robinson » topped the chart aided by its appearance in Mike Nichols’ hit movie The Graduate. « The Sound of Silence » and « Bridge over Troubled Water » both peaked at #1 as singles in their studio versions, and « The Boxer » peaked as a single at #7. 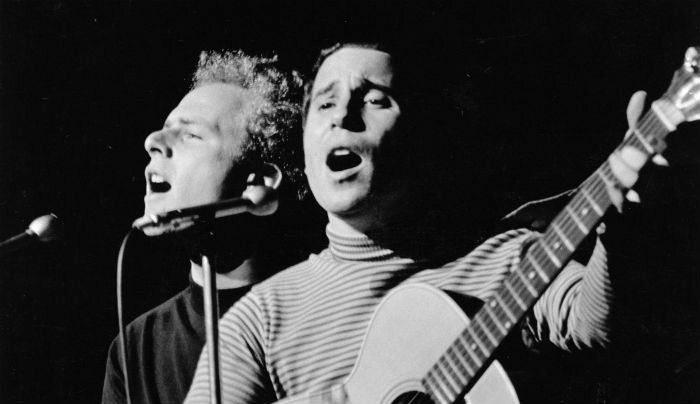 Simon and Garfunkel’s Greatest Hits peaked on the U.S. albums chart at #5. On the UK Album Chart, it was a #2 hit. The album has proven a long and durable seller, currently being certified for 14 million units sold in the U.S. alone. It is easily their best-selling album in the U.S., and holds the record in the U.S. for the best-selling album by a duo.